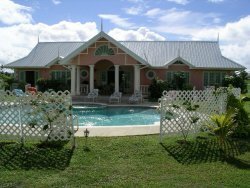 VILLAS AND APARTMENTS TO RENT IN TOBAGO, THE CARIBBEAN. 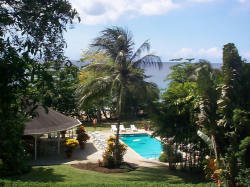 Welcome to our selection of holiday homes to rent in Tobago, the Caribbean. Tobago is the smaller of the two islands that make the country Trindad & Tobago, with both located in the southern part of the Caribbean Sea. Flights to the capital of Scarborough arrive from several US airports, or from the main airport on Trinidad. 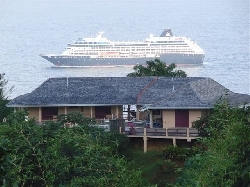 There is also a regular ferry service between Scarborough and Port of Spain on the larger island. Now completely independent of any European country, English remains the main language while the Trinidad & Tobago dollar is the official currency. In the southwest part of Tobago there are several beautiful and unspoilt areas where visitors will find the majority of the tourist accommodation. Perhaps the most popular, and most scenic, are Englishman's Bay and Mount Irvine. Englishman's Bay is a very secluded and quiet beach, tucked away at the end of a rough trail through a forest. There are no amenities here so make sure you bring your own food and drink, but the peace and quiet, white sand and beautiful turquoise water more than makes up for the lack of beach bars! Visitors to Mount Irvine beach, on the other hand, are served by the exclusive Mount Irvine Hotel, which welcomes member of the public to its sea view bar. You may have to pay a few dollars to get onto the beach at Pigeon Point, as it is part of one of the resorts here, but there are so many activities and amenities then available to you, that it is worth every cent. There are several water sports centres, offering windsurfing and jet ski hire, so don't expect too much peace and quiet. Finally, Store Bay is a great place to visit at the weekend, when there is always a lively atmosphere, thanks to the presence of local families. Make sure you buy your snacks at one of the local bars where you can get a great quality, but very cheap meal. As well as the water sports which are available at the resorts, diving is also becoming more and more popular on Tobago, as the island markets itself as an ecotourism destination. Beautiful coral reefs surround the island, and they can easily be explored either by supervised diving, or just with a snorkel and a pair of flippers! Onshore, there are several nature reserves to protest the island's flora and fauna. You can take a guided hike through these areas with one of the local staff. 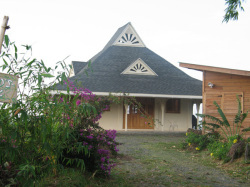 Looking for self catering holiday accommodation in Tobago? Then below is a selection of apartments in Tobago and villas in Tobago that can be rented direct from their owners. You can either click on each listing for further details or you can use our search engine on the left if you are looking for something in particular.